Gatön Ngawang Lekpa (སྒ་སྟོན་ངག་དབང་ལེགས་པ་, Wyl. 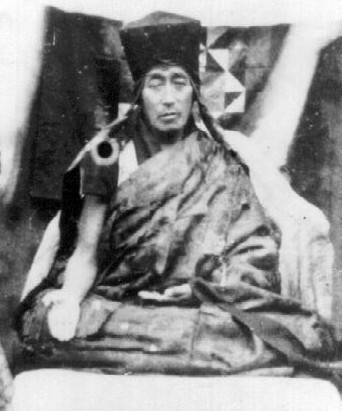 sga ston ngag dbang legs pa) (1867-1941) — an important Sakya master connected with Tharlam Monastery who was renowned for his strict discipline and for the hardships he endured during fifteen years in retreat. It is said that he accomplished 4,100,000 prostrations during his lifetime. He was a student of Jamyang Khyentse Wangpo and a teacher of Jamyang Khyentse Chökyi Lodrö and Dezhung Rinpoche. His anniversary is the 29th day of the third month in the Tibetan calendar. This page was last edited on 14 February 2017, at 21:13.